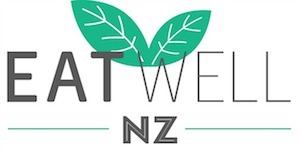 Tomatoes are in season now, meaning they are cheap at the supermarket and perhaps even growing in your own back yard. Tomatoes are one of the few vegetables that are a rich source of lycopene. 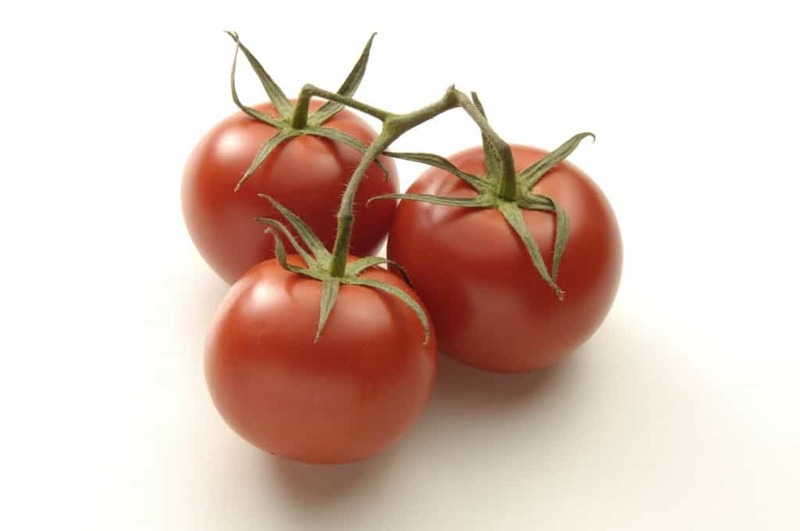 Lycopene gives tomatoes their bright red colour and is a powerful antioxidant. Research shows that lycopene can have an important role in reducing the incidence of prostate cancer and may also help reduce the incidence of other cancers and cardiovascular diseases. It also plays a role in maintaining eye health. Cooking tomatoes enhances the availability of lycopene so our bodies can use it more easily. Tomatoes also provide a range of other nutrients. They are a good source of vitamin C and vitamin A. They also provide vitamin E, folic acid, potassium and some fibre. Preheat oven to 110 degrees Celsius. Line a baking tray with baking paper. 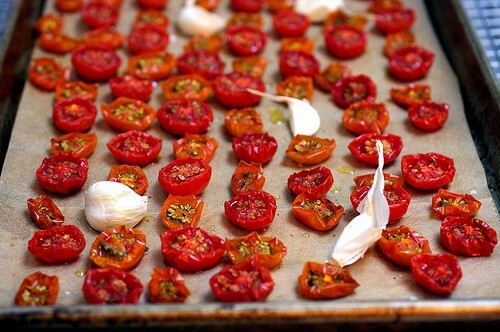 Chop tomatoes in half and lay on the oven dish. You can use as many as you like. Sprinkle with rosemary and drizzle lightly with olive oil. Bake in oven for 2-3 hours until shrivelled but so they still have a little juice inside. Taste test along the way to see how they are going. For more detailed information on these, check out Smitten Kitchen blog.